Our most popular Brisbane hot air balloon ride (thirty minutes flight time)! Includes a delicious full champagne breakfast at OReilly's Vineyard. Looking for Valentines Day gifts they will enjoy? Give them Valentines Day gift vouchers for a ballooning experience they will always remember. Self Drive to meet us in Nerang or Canungra. Enjoy the hot air ballooning experience for longer, with our Extended Hot Air Balloon tour. Tour includes a delicious Champagne Breakfast at O'Reilly's Grand Homestead & Vineyard. Just a 55 minute drive South West of Brisbane CBD. For something different & unique for this special day, your driver is ready for your door to door Brisbane transfers in our luxury vehicle to take you on an unbelievable romantic experience that you both will cherish forever. 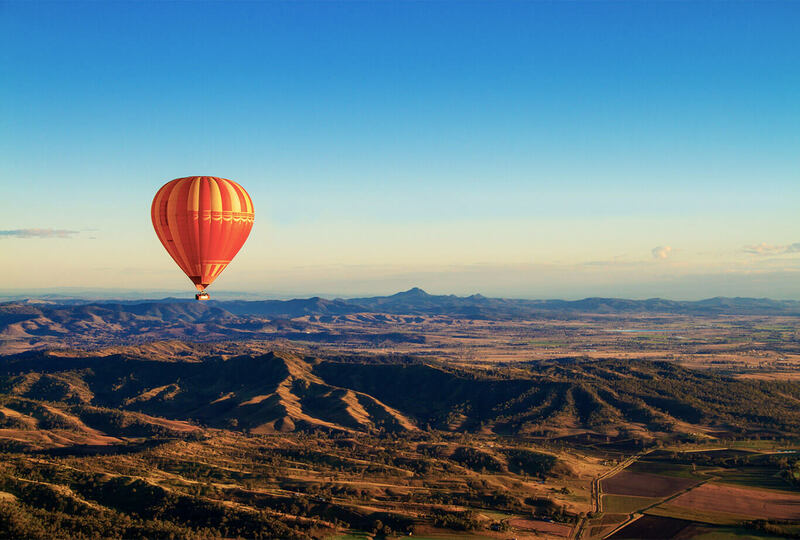 Float gently above the clouds in a hot air balloon while you witness the stunning morning views of the Hinterland as you pop the big question. After coming back to earth you will be treated to a gourmet breakfast and glass of sparkling wine to toast your unforgettable experience. On the day we take lots of photos and a set of portraits from your experience is available to download after your flight. Let our expert Hot Air team help you create this special experience today. There's two easy ways to join us - we can offer you a pickup service using our own reliable drivers and vehciles daily from all Brisbane City hotels, or self drive to meet us, save a little off the price and take time to explore the Scenic Rim and Tamborine Mountain after your flight. Come on! 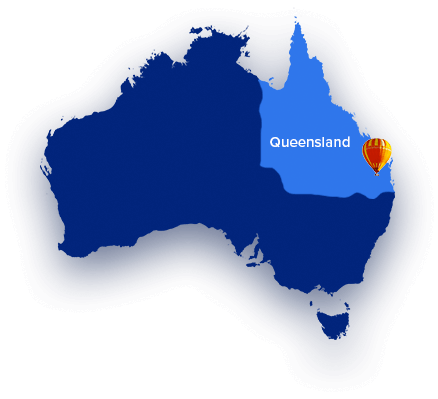 Experience the best balloons & the best crew at the BEST Price, come ballooning with Hot Air Balloon Brisbane.